The Indiana Code does not explicitly prohibit the use of blackouts or translucent covers for headlights and brake lights on motor vehicles. It does, however, create requirements for the visibility of headlights and brake lights. These requirements do not directly prohibit light covers, but limit the level of tinting that may be applied. Section 9-19-6-3 of the Indiana Code requires motor vehicles other than motorcycles to have at least two headlights, with at least one on either side of the front of the vehicle. Motorcycles must have at least one headlight, but no more than two. Section 9-19-6-20 requires that there be an upper beam visible at a distance of at least 350 feet and a lower beam visible at a distance of at least 100 feet in all conditions. Headlights must comply with these standards with the covers installed if they are to be used on public roads. Section 9-19-6-17 requires brake lights be activated when the brake pedal is engaged and visible at a distance of at least 100 feet in normal sunlight. Covers must not impede the lights to the point where they do not meet these requirements. A violation of this section is a Class C infraction resulting in a fine. It may also prevent the vehicle from passing inspection, which is required in Clark, Floyd Lake and Porter counties. Goldstein, Mike. "Indiana Laws for Blackouts or Translucent Covers for Headlights & Brake Lights on Vehicles." 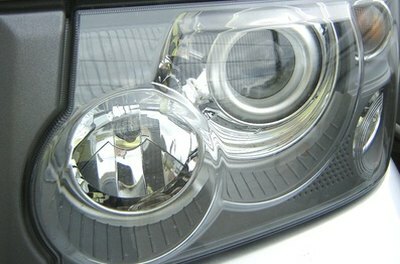 , https://legalbeagle.com/6941905-indiana-headlights-brake-lights-vehicles.html. Accessed 18 April 2019. What Are the Trespassing Laws of Maryland?